The Red Stag lemonade is a fun whiskey-based punch that you can make for yourself or for any number of party guests. It's sweet, refreshing, and filled with delicious cherry and strawberry flavors, plus it's very easy to make. Created by Mixologist Bobby "G" Gleason, this recipe is designed to show off Red Stag, Jim Beam's cherry-flavored bourbon. It does a nice job of that and the whiskey is a perfect pairing for Strawberry Pucker (though you can use any strawberry liqueur). Once you add lemonade, then give it a little sparkle from soda, it becomes a crisp spiked lemonade that will cool down you and anyone you share it with on a hot summer day. In a highball glass filled with ice, build the ingredients in order, finishing up with your choice of soda. Stir well and garnish with a lemon slice. 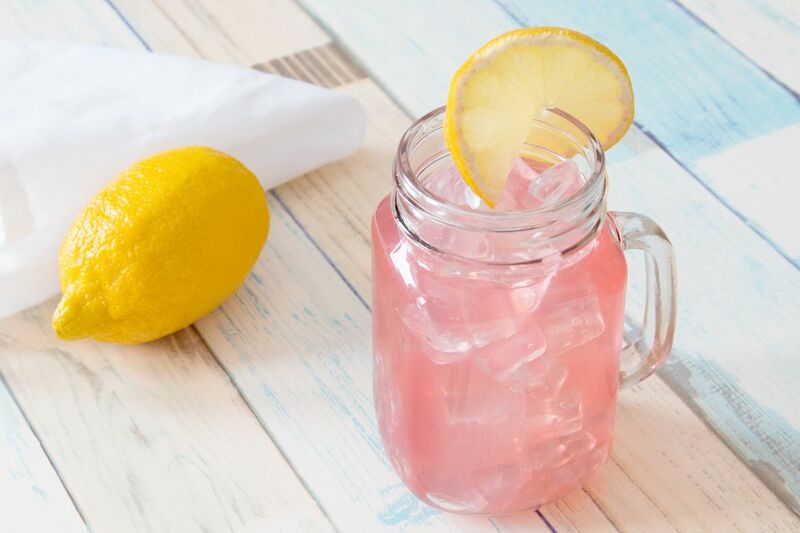 Fresh-squeezed lemonade will create the best-tasting Red Stag lemonade. It's easy to make—all you need is lemon juice, sugar, and water—and you can customize the sweet and sour to suit your taste. When using it specifically for this recipe, you might want to back off the sugar a bit because the strawberry liqueur will add a good deal of sweetness. If you really want to DIY your lemonade, you can also make a cherry-infused bourbon with any whiskey you choose. The strawberry liqueur is easy as well by using other homemade liqueur recipes for inspiration (try either of these limoncello or peach liqueur recipes). Whether for a party or just to have a ready-to-drink lemonade on hand, this is a great recipe to make ahead of time. Stir together the liquors and lemonade in a pitcher, add thin lemon wheels, and place in the refrigerator until well chilled. Pour over ice in tall glasses, leaving room for the soda. To make this for a crowd, simply increase the ingredients while keeping the proportions in the recipe. For instance, for 10 tall drinks, you'll need 15 ounces (1 3/4 cups) whiskey, 5 ounces strawberry liqueur, 40 ounces (5 cups) lemonade, and 20 ounces (2 1/2 cups) soda. If you're going more of the party punch route, the average serving is just 4 ounces, so that will serve twice as many guests. If you prefer, switch the strawberry out for another fruity liqueur. Raspberry (i.e., Chambord), blackberry, crème de cassis, mango, and pomegranate are all great options. How Strong Is a Red Stag Lemonade? The lemonade and soda make up most of the volume in this tall drink, so it's a surprisingly light whiskey cocktail. When made according to the recipe, the Red Stag lemonade has an alcohol content of about 8 percent ABV (16 proof). That's lighter than a glass of wine!